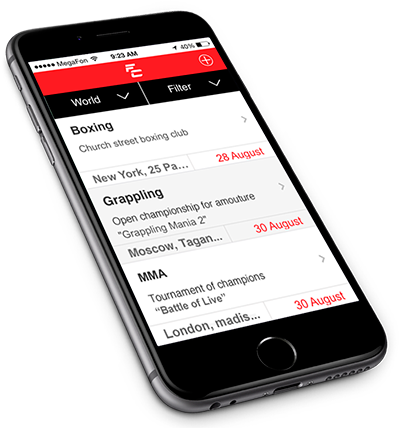 The mobile application gives you the opportunity to be well-informed with a latest events from the world of martial arts. GoFightGo.com — help to search best gyms of Muay Thai, MMA, Boxing and other martial arts in the world. Find the proper gym you want to train at or a coach for personal training. New York, Rio de Janeiro, Moscow, Bangkok, Phuket, Pattaya, Tokio, England, Spain and other countries and cities where you can train Martial arts in best gyms. All styles of Martial arts and full description available in «Directory». How choose your coach, gym, shop for buy equipment and look events. Styles – Boxing, MMA, Kung Fu, Kudo, Aikido, Karate, Muay Thai, Wushu, Capoeira, Jiu Jitsu, Judo and self defense. Dark Styles – Assassins, Gukhas, Ninja, Sikhs, Immortals and Vikings. If you want to add your Gym on GoFightGo.com – we add your gym on website, make video tour for him, and download video about your gym on the Channel Arrows Street Fight Arrows Street Fight in YouTube 23,000,000 views and 44,000 subscribes. Boxing, MMA, Thai boxing, Martial arts gyms and coaches in your city. Россия г. Москва, ул. Летниковская, д. 6 А.